Watermarking photos with ReaWatermark! Create, design and add digital watermarks on your pictures! ReaWatermark simplifies the process of creating and applying image watermarks to a single file or multiple files in multiple folders. Your watermark can be composed some text, lines, curves, polygons and/or images of any kind. Complex transparency settings allow you to create transparent, semi-transparent or opaque watermarks, even using varied transparency for different part of your watermark. 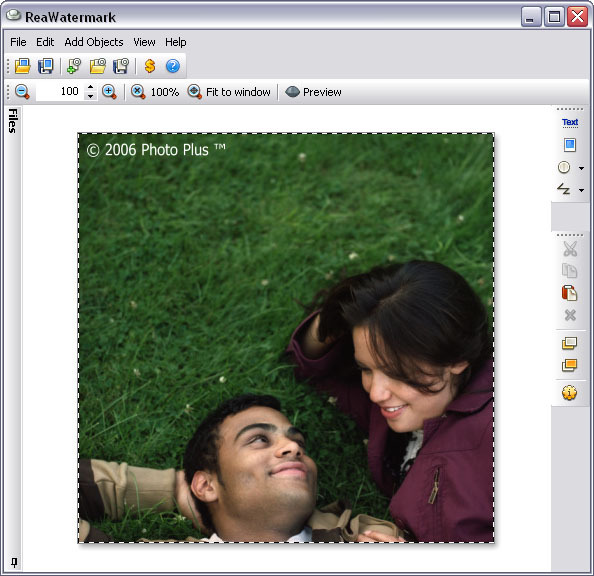 ReaWatermark provides a set of built-in customizable templates. You can apply them right away or use them as bulding blocks for your creation. ReaConverter - high quality batch image converter with 400+ supported formats.